T.G.I.F. this has been one very long week. Dark, cloudy, just plain ugly here. I have not has the energy to do anything at all. Managed to watch a lot of T.V. Here is a treat box I made a few week back and never posted. This could be used as a birthday or Christmas treat box. 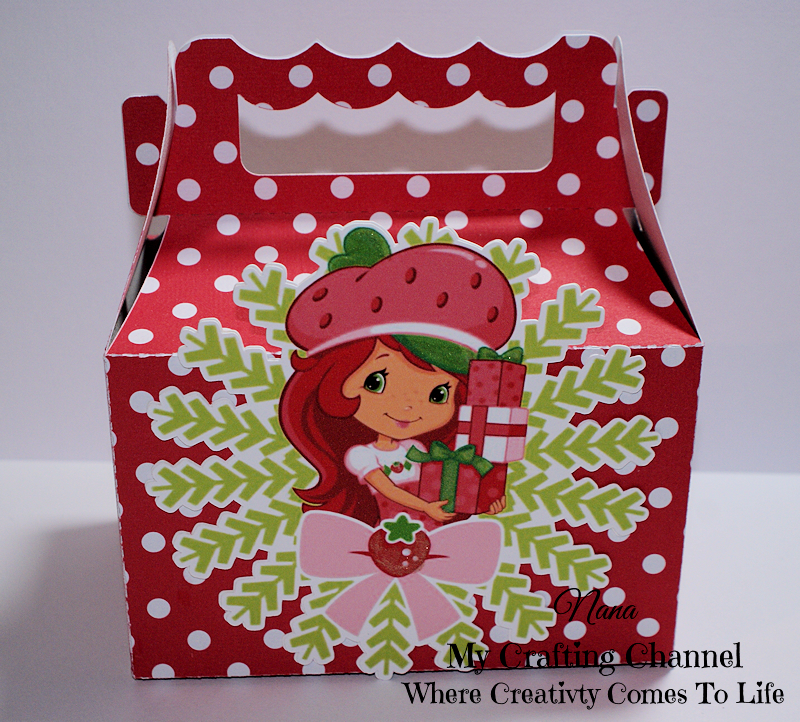 Strawberry shortcake - how cute and pretty! Oh how SWEET! Adorable Treat Box Nana! Sorry you've had some Dreary Weather lately - I hope it changes soon! HUGS! Have a wonderful Weekend! This is ADORABLE!! I love Strawberry Shortcake!! I totally love this treat box, Strawberry Shortcake is one of my favorites! The polka dotted theme is so perfect! Have a great weekend! Strawberry Shortcake...talk about a trip down memory lane! She is so cute and I can just remember the smell by looking at this cute treat box. Love little Miss Strawberry Shortcake! 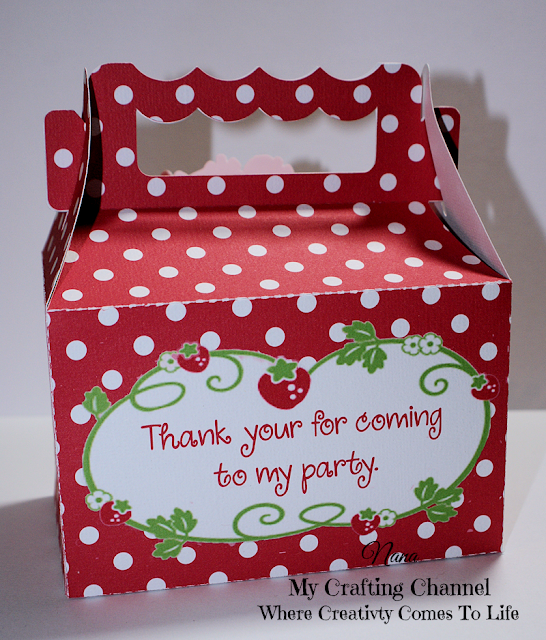 Love this sweet little treat box! It would be awesome if you could make them scratch and sniff!